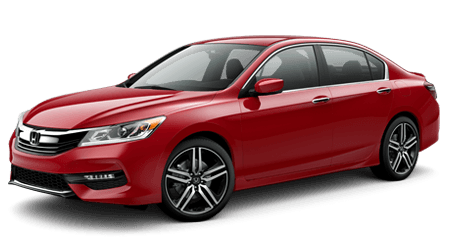 If you're in the market for a vehicle that seamlessly blends safety, sophistication and luxury, then the brand Honda Accord should be at the top of your list! Test drive this breath taking mode of transportation now at Jim Skinner Honda in AL. This new Honda comes standard with an impressive array of features and the affordable price tag makes it an accessible option for a range of drivers. Make the quick trip over to our Honda dealership to get all the specifications on the latest Honda model and to learn all about the available add-on features that will only further enhance your driving experience. Start shopping for your Honda Accord now using our online inventory system. You can browse through all the available options to get an idea of what it is you're interested in, or you can narrow down your results if you know exactly what you're after! Input your specific filters to get results delivered right to your fingertips! If you prefer a more hands on shopping experience, grab the whole family and head over to our convenient dealership in Dothan to browse all our inventory onsite. No matter which way to shop you choose, we look forward to welcoming you and getting you behind the wheel of a 2017 Honda Accord for an exhilarating test drive! Head over to Jim Skinner Honda to learn all about Honda Sensing™ and how it has been designed with you and your family in mind. The features of this system all work together in order to alert you to things you might miss while driving, like the Lane Keeping Assist System. If you find yourself accidentally drifting into another lane, the steering adjusts to gently bring you back to the middle. The adaptive cruise control is a luxurious feature that you'll wonder how you survived without! Now you can not only set a cruising speed, but a safe following distance as well! If the car ahead of you should slow down, so will your 2017 Honda Accord! When the obstacle clears, your Honda will speed back up to the preset cruising speed! Because the best kind of accident is the one that is avoided, the Collision Mitigation Braking System™ will help to bring your Accord to a stop when it senses an impending collision. Be sure to ask about this system as well as the Road Departure Mitigation System and how these safety features can benefit you and your family. Our knowledgable team here at Jim Skinner Honda looks forward to welcoming you! The 2017 Honda Accord is packed full of impressive technology features that will assist in those everyday errands. Ask an associate about the Remote Engine Start to get rid of a mess of keys and take this sedan for a test drive to see the Multi-Angle Rearview Camera in action! More than just a standard backup camera, this feature offers three different views to choose from: normal, wide and top-down. Use the Honda LaneWatch™ as you signal lanes to active a live video on your Display Audio screen to shows nearly four times more tan the passenger-side mirror alone. In this way, Honda not only concerns itself with your safety, but with the safety of those around you. The available Remote Engine Start can not only get your vehicle started as previously discussed, but can warm it up or cool it down to your preset temperature! With all the impressive features of the 2017 Accord, you'll never want to exit this vehicle! If you frequently travel to unfamiliar destinations then consider opting for the available Honda Satellite-Linked Navigation System™ so you can get turn-by-turn directions! Head over to Jim Skinner Honda to check out all these features and more! The safety features will put your mind at ease while the sophisticated style appeals to your senses. Talk to an associate about the available premium leather materials and wood-grain accents to start customizing your 2017 Accord today! If you spend a lot of time behind the wheel, the available 10-way adjustable seat will be sure to provide you with a comforting position so you can say goodbye to those aches and pains of the past! Luxury isn't a privilege reserved for only the front seat guests, thanks to the available backseat luxury leather appointments and seating for up to five. Now you can grab all your friends and hit the open road in style! There's even the option to heat up the outboard rear seats! The aggressive grille design boldly leads your way as the available LED headlights illuminate your way. This new model has been giving some breath taking upgrades while still remaining recognizable as a Honda. The sleek lines and eye-catching profile make for a lasting impressions, so hurry over to Jim Skinner Honda to see how you can drive home in one today! There are a slew of exterior color options to choose from so you are sure to find the color that suits you! There are so many available upgrades to choose from so talk to one of our team members to get customizing your new vehicle today! The decklid spoiler not only adds a personal touch, but contributes to the aerodynamics of your car! Head over today to all the details! Be sure to finish your Honda Accord off with a Splash Guard Set to help protect your vehicle's paint from chips and stains! Seeing is believing, so make your way over to our convenient Dothan location where we proudly serve our customers from the nearby areas of Troy, Ozark, Enterprise, Marianna, Chipley, and Bonifay. From financing to service, our team can assist in all your Honda needs! The 2017 Honda Accord is a luxurious option that doesn't come with a luxury price tag, come see all the impressive features for yourself! If you're looking for a new reliable family vehicle or need a powerful commuter car that boasts impressive fuel economy, the 2017 Accord is an option that you can't afford to miss! Our staff is standing by, eagerly awaiting your arrival. We look forward to welcoming you to the Honda family soon!